An independent, non-franchised, local provider, we strive to ensure a better quality of life for our clients and their families by providing dependable and affordable in-home assisted living and care. 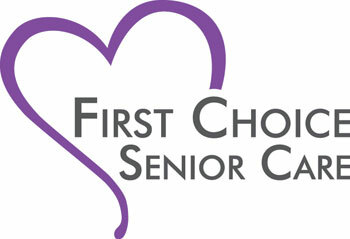 First Choice Senior Care is owned and operated by Kayla Stephens who has spent her entire career caring for seniors. She is a Certified Senior Advisor, and Certified Dimentia Practitioner, and personally case manages all of our clients. "People are our most important asset." How many times have you heard a company make this claim, only to come up short in practice? At First Choice Senior Care we not only say it, we mean it. We know that to attract top certified caregivers, we need to reward and recognize them for their exceptional skills. We are dedicated to hiring the most compassionate and experienced caregivers available. We treat them with the respect and dignity they deserve. We pay at the upper end of market scales, provide better benefits, and offer meaningful training and advancement opportunities. Awarded the coveted Leader in Excellence award, we rank among the top homecare agencies in the nation according to anonymous surveys of our clients and caregivers conducted by Home Care Pulse, an independent company who conducts research into thousands of agencies throughout the US and Canada. Contact us today to experience the difference!